Over 20 million people are suffering from high blood pressure across Nigeria. According to research, this number is calculated as 30.7% among men and 25.2% among women. So, what is exactly is high blood pressure? If you ask the average Nigerian, the first answer that comes to mind is a stroke. While this is erroneous, it is not entirely false. Stroke is a byproduct of high blood pressure – but it is NOT high blood pressure. To break it down, let us first describe what blood pressure is. Blood pressure can be defined as the amount of force or pressure that your blood puts on the walls of your arteries (blood vessels) as it flows through. With that mind, high blood pressure (also called hypertension) means when your blood pressure is consistently too high. This can pose a lot of health threats such as heart failure, vision loss, stroke, kidney disease, and even death. There is a muscle and its main function is to pump blood around the body. The heart pumps blood with low oxygen into the lungs which replenish its supply. The heart then pumps blood high in oxygen to other parts of the body to supply the muscles and cells. Essential high blood pressure: This hypertension has no established cause. Secondary high blood pressure: Another health issue can be attributed to the cause of this type of high blood pressure. Everything listed above has been linked to causing high blood pressure. If you are unsure of how any of these applies to you, then you should speak to a doctor today. There are several symptoms that give away the clue whether you have high blood pressure or not. Most times, these symptoms can go unnoticed until it is too late. Hypertension or high blood pressure has been termed “the silent killer” for this very reason. However, once the blood pressure has increased up to about 180/120 millimeters of mercury (mm Hg), then it has become a hypertensive crisis. At that stage, it is already a medical emergency. If you, or anybody close to you, have some or all of these symptoms – you need to speak to a doctor immediately. In addition, it is best practice for people who have been diagnosed with high blood pressure to check their blood pressure frequently. But for those who are in a normal range, it is advisable to conduct checks once every five years at the very least. When it comes to treating high blood pressure, there are several factors that need to be considered. Some of these factors include the severity of the condition and any risks that could be linked to developing a stroke or other cardiovascular diseases. A doctor will recommend various treatment depending on the blood pressure. For example, your doctor could recommend lifestyle changes if your blood pressure is just slightly elevated and you have a lower risk of developing any cardiovascular disease. Conversely, if your blood pressure is moderately high, your doctor will probably recommend medication and certain lifestyle changes. A moderate high blood pressure means your chances of developing a cardiovascular disease will be above 20% within the next 10 years. On the other hand, if your blood pressure levels have reached 180/120 mm Hg or above, then the situation is more critical. As mentioned earlier, this is referred to as a hypertensive crisis. When this is the case, your doctor will most likely ensure there is an immediate change to the type or dosage of medication that you are currently using. Note: This list of medications is for informational purposes only. You should never buy any hypertension medication without your doctor’s prescription because you could make matters worse. 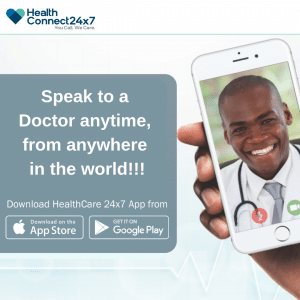 You can speak to any of our doctors 24/7 from the comfort of your home. High blood pressure, also called hypertension, is a health problem that affects millions of Nigerians. While it rarely shows any symptoms, it can lead to very severe health complications such as stroke and heart disease. It could even result in death in some extreme cases. While some underlying conditions can cause high blood pressure, the exact cause in most people is unknown. Some factors that science has proven to cause high blood pressure include age, race, lifestyle, family history, pregnancy, stress, smoking, and alcohol use. Medications can be used for extreme cases, but for most people, a healthy lifestyle and balanced diet could be they need to keep high blood pressure under control. Do you have questions about this article? Please drop your comments below and I will answer it.